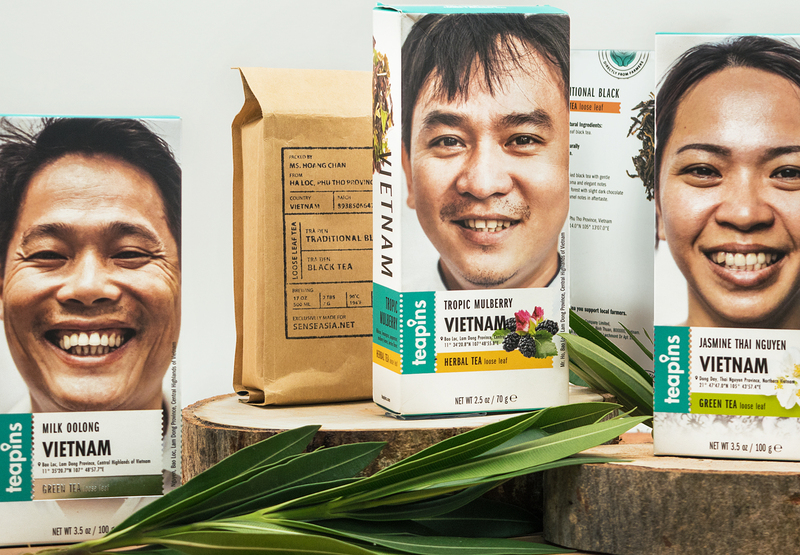 Tea brand Teapins redesign. Farmers tea line. 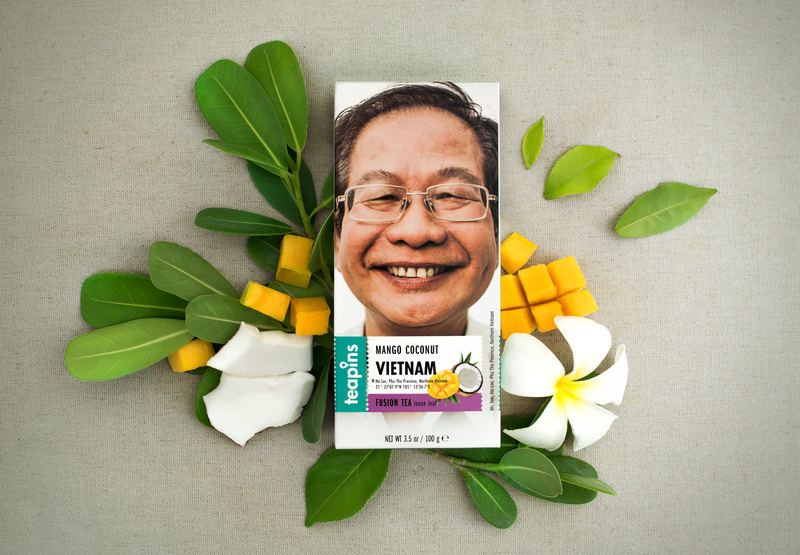 Ohmybrand together with the Teapins company has carried out the redesign of the Teapins Farmers tea. 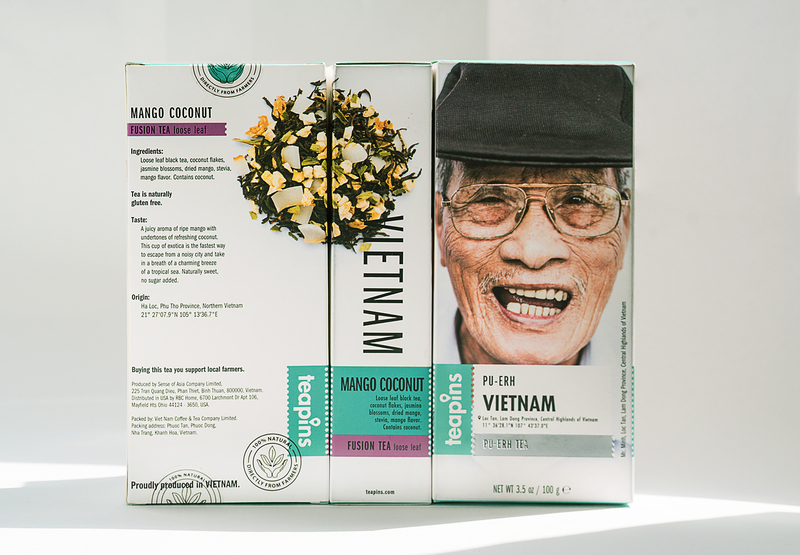 Now Teapins is entering new markets and changing the range of teas. 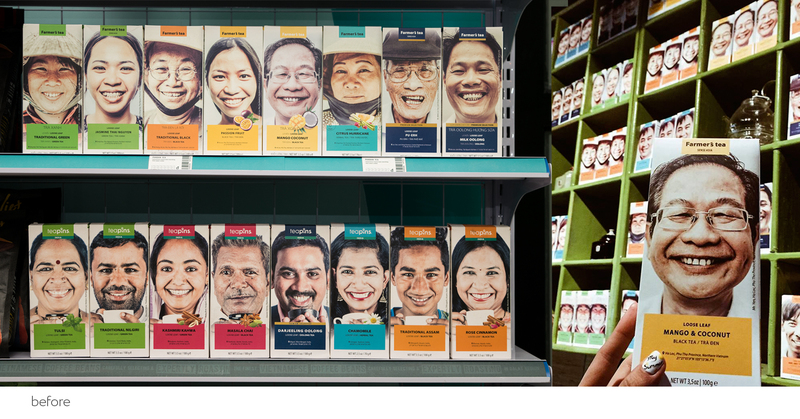 The initial style of packaging doesn’t meet the increased needs of the company. The company has been developing rapidly, and the number of items has been growing in an uncontrollable way. 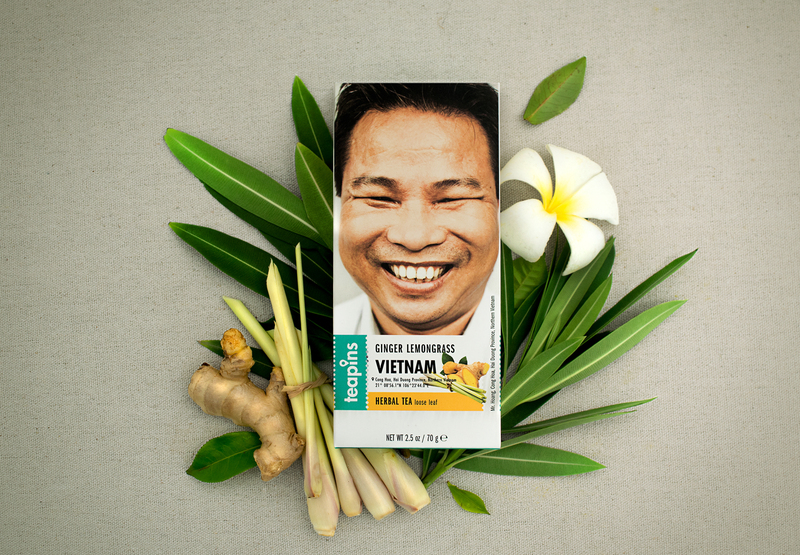 The teas now are bought not only in Vietnam, and as a result the line has become more and more overloaded. 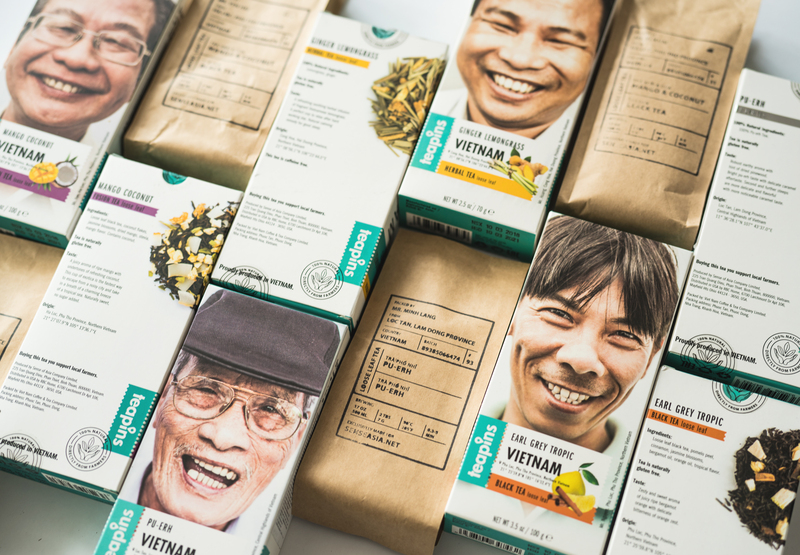 The main task of Ohmybrand was to reformat the brand from the “tea grown by the farmers of Vietnam” into a multicultural modern brand which will feature tea varieties from farmers in different countries. 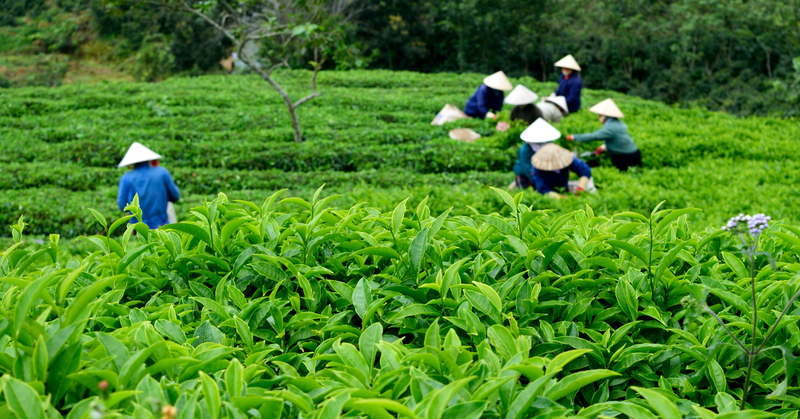 We have kept the most important thing – our positive farmers who grow the best tea all around the world. 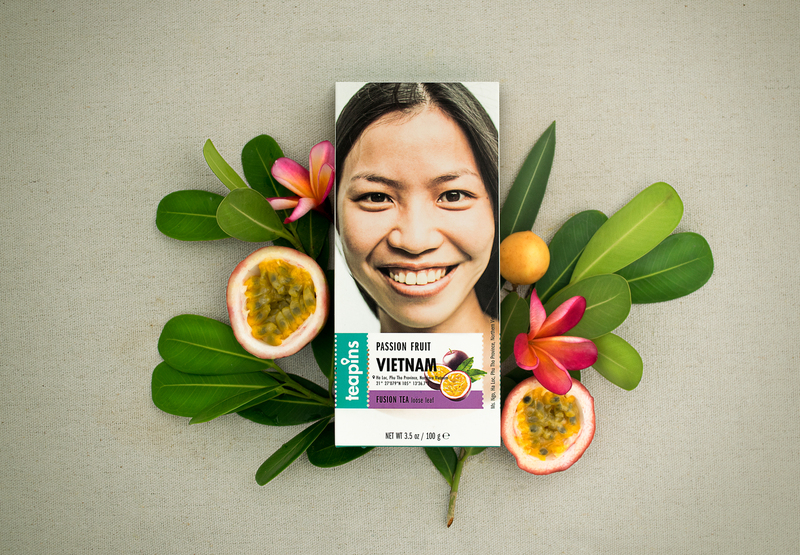 We have also dealt with the differentiation between varieties, strengthened the brand zone and found the best locations for various elements of the packaging. Now it is even easier to collect farmers and travel with Teapins to the best tea plantations of the world.